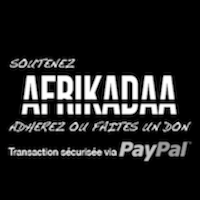 L’histoire de Dakar appartient à un passé relativement récent. La construction de la ville s’est faite à partir 19ème siècle en se greffant sur un environnement urbain ou les lébouS, présent sur la presqu’ile depuis le 15ème siècle vivaient selon leurs traditions culturelles et spatiales. Les vestiges de ces structures urbaines traditionnelles sont appellées « Penc », s’élèvent au nombre de 12 entre le plateau et la Medina. DAKARMORPHOSE est une restitution spatiale, historique et culturelle des 12 Penc de Dakar. 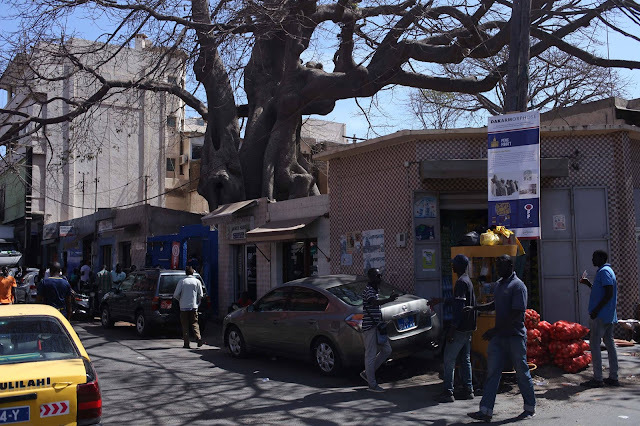 L’exposition, qui s’est tenue du 5 au 15 dernier dans au penc de Mbott dans le cadre de la 13ème édition de la biennale, proposait au public de retracer la genèse des pencs dans la ville de Dakar qui s’est métamorphosée au fil du temps tout en gardant des traces d’urbanité dans ces lieux, à l’organisation socio-spatiale unique, qui sont encore au cœur de l’identité de la communauté Lebou. Ce vendredi 8 juin 2018 sur invitation de RAW MATERIAL COMPANY, Carole Diop et Nzinga Mboup, conceptrice du projet, reviendront sur cette exposition dans le cadre de CITEOLOGIE, une réflexion sur l'espace urbain africain contemporain à travers le prisme des politiques architecturales et urbanistiques. CITÉOLOGIES, initié par RAW MATERIAL COMPANY en colaboration avec Carole Diop, est un volet du programme de débats publics hebdomadaires les vendredis @RAW. CITEOLOGIE : DAKARMORPHOSE - Vendredi 8 juin 2018 à 17h30 à la Zone B, rue sans soleil, Villa N°2B. Vive l’indépendance de l’eau: A call to political aesthetics? The prolific artist Kader Attia organized, ten days ago, an intense and collaborative two-day reflection on the political imaginaries, social structures and aesthetic distribution of water. This event took place at the University of Cheikh Anta Diop located in the peninsula of Dakar, Senegal and was inscribed in the frame of the SharjahBiennial 13. Kader Attia who grew up between Alger and the suburbs of Paris, that is to say crossing the Mediterranean constantly; notes that his artistic practice and overall intellectual quest focuses upon the notion of repair, “any system of life is an infinite process of repair”. He circumscribes ideas of repair in “exploring the wide-ranging repercussions of Western modern cultural hegemony and colonialism on non-Western cultures”. I read “Vive l’independence de l’eau” as a successful attempt in the promotion of bringing together non-normalized knowledge and artistic research to discuss current situations and strategies to understand water and human behaviors. The name of this event suggests a celebration; however, this celebration immediately turns ironic given the current global situation and the water scarcity that afflicts a vast section of the world’s population; as well as the colossal water pollution schemes promoted by contemporary urban and rural structures. A call to celebrate and reflect upon the ontology of water is an important remark in nowadays fluid societal systems; to reflect it from the knowledge that lays within magic, music, dance, architecture, urban planning, poetry, proverbs and images turns itself immediately into a political statement. What are artists intended to do nowadays if not making a call to non-knowledge to discuss the most pressing global issue inside African institutions? I will not rename all of the participants of this celebration, below you will find a link with that information. However, I would like to highlight the moments and ideas that caught my attention. The fact that most of the participants reflected upon the agency of water, of its potency and ontology. We live in a world in which Bruno Latour, together with other thinkers of the Actor-Network Theory (ANT), already posed the idea of the actants, that is to say the recognition of the capacity of nonhumans to participate and act within systems. In that sense, architect and researcher Samia Rab, made a deep analysis on the port city of Sharjah and stressed the fact that “water always finds her way back”, she even suggested to think upon private typologies to create public spaces, taking into account the Islamic right of thirst. Her research has focused on how port cities have historically related to water and how this already-acquired knowledge can be implemented or rethought in other cities. While listening to many of the expositions by the participants I could not help but to think on the philosophers’ Gilles Deleuze and Félix Guattari remarkable work, their distinction between smooth space (water, desert, jungle) from striated space (land that can be pinned down, marked, structured into fixed borders). Water is the smooth space per excellence; its ontological fluidity jeopardizes the idea of fixed identities, of borders. Also the work from the historian Ferdnand Braudel came to mind with his masterpiece The Mediterranean and the Mediterranean World in the Age of Philip II which understands the sea as the main historical actor. In this book Braudel states that “the question of boundaries is the first to be encountered; from it all others flow." The Algerian philosopher Seloua Luste Boulbina, participant at the event, suggested a maritime philosophy that would allow for mobility and transformation. She called upon the beautiful words of Gaston Bachelard: “L’eau est vraiment l’élément transitoire. Il est la métamorphose ontologique essentielle entre le feu et la terre. L’être voué à l’eau est un être en vertige. Il meurt à chaque minute, sans cesse quelque chose de sa substance s’écroule.” The subaquatic world is also the world of mystery and chimeras. The professor Ibrahima Sow, founder and director of the Laboratoire de l’Imaginaire at the UCAD, brought magic and symbolic thought to the discussion. Together with seer Soya Sow the art of divination, the logic of the imaginary and different frames of reality were mysteriously framed. For the Islamic art of divination, the matter is already in the future waiting to be shown. “The deeper the water the clearer the mirror”. I will not be fair to everything that was shared during this event: the powerful performance by the beautiful women singers from a Serer Village in Senegal; the words from poet Rachida Madani, the splendid work from architect Yasmine Terki to conserve and promote earthen architecture in Algeria, the films by Marcel Dinahet which were recorded from the water turning our cities into phantom or distorted spaces, the call upon money liquidity and debt neo-colonial structures framed in Hito Steyerl’s Liquid Inc., the teachings of Haidar El Ali to restore the mangroves in southern Senegal and the magical re-enactment art piece of Christoph Keller, who re-fabricated the machine devised by Wilchem Reich to provoke rain. All of the participants during Vive l’independence de l’eau proved yet another Senegalese proverb: “there is water in everything”. Frida Robles is an essayist-artist; she observes the traces that people leave in public spaces and then diffracts it back into the same space. She does this through text, performance, images and moving pictures. For example: in order to learn more about love, Robles went into a public square in Mexico City and listened to people’s love stories, channeled their emotions and translated them into love letters.